These are by far some of the best chocolate cupcakes I've ever eaten! 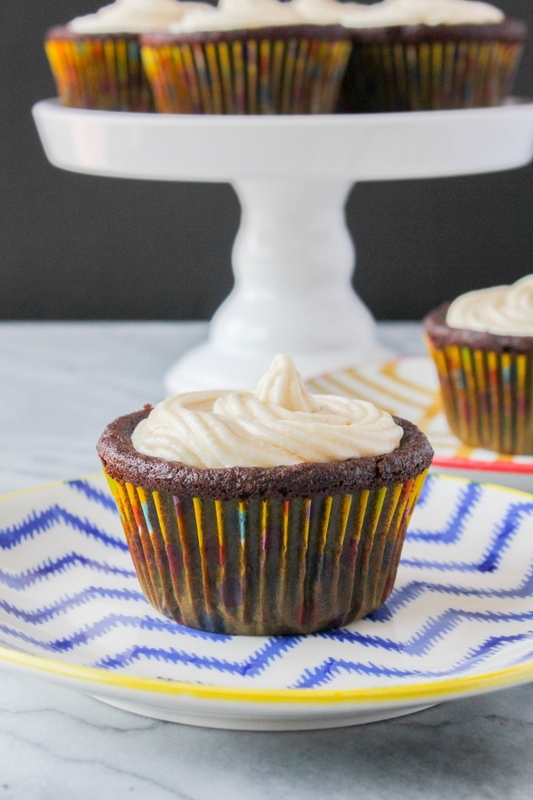 The cupcakes are so moist and tender and the frosting is rich and creamy. These decadent treats are flourless and have a secret ingredient that no one will ever believe! Friends, I've got quite the treat for you today! Have you ever had a chocolate cupcake that just melts in your mouth? I'm talking about a cupcake that just blows your mind. Well the recipe I'm sharing today will do just that! 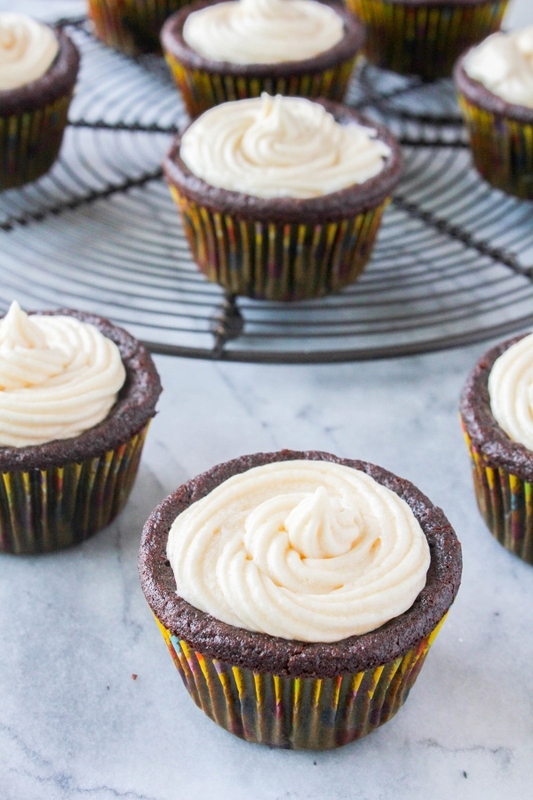 These cupcakes are so moist and tender, like the fluffiest little things you've ever seen. 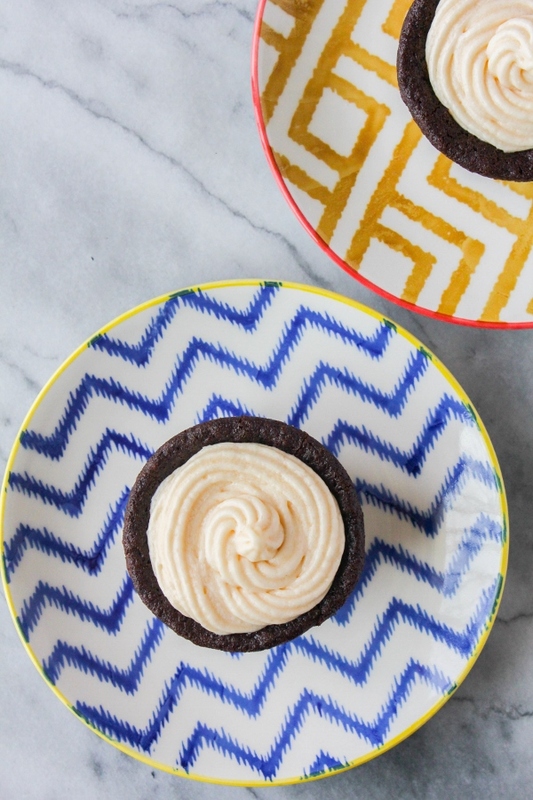 They are topped with a divine caramel buttercream frosting, which just adds a whole other dimension of flavor to these light and luscious treats. These delicious little bites are also flourless, and have a secret ingredient that helps hold them together and make them healthier. Any guesses on what my secret is? Kidney beans! Did you get the correct answer? Yes my friends, these cupcakes have kidney beans inside! Let me tell you something though, there is absolutely no way anyone would ever know that there are beans in these cupcakes. There is no flavor, there is no textural difference, nothing at all. The real test for me was having my youngest son eat one, because he is somewhat picky. He ate the cupcake, said it was one of the best cupcakes he'd ever had, and had no idea at all about my secret ingredient! Preheat the oven 375 degrees. Line a muffin tin with cupcake liners and set aside. In the bowl of a food processor, puree the beans, butter, coffee, and vanilla and blend until completely smooth. In a large bowl, whisk the sugar and eggs together until light and fluffy. Add the cocoa powder, baking powder, baking soda, salt, and cinnamon and whisk until blended. Add the bean mixture and stir until the batter is smooth. Pour the batter into the prepared tin and bake for 15-20 minutes, or until a cake tester inserted into the center of a cupcake comes out out clean. Allow the cupcakes to cool on a cooling rack completely before frosting. To make the frosting, in the bowl of a stand mixer, or using a hand mixer, beat the butter until creamy. Add in the powdered sugar, caramel syrup, and one tablespoon of milk and beat until smooth. If needed, add additional milk one teaspoon at a time to achieve the desired consistency. 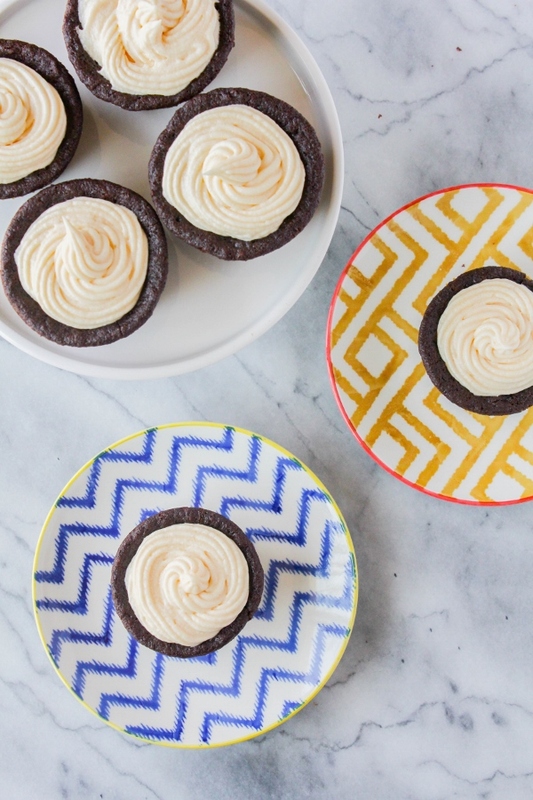 Use a piping bag or a knife to frost each cupcake. As a Milk Means More Ambassador, I was compensated for developing a delicious recipe using dairy. All opinions, as always, are my own. Thank you for supporting the brands that make this blog possible!